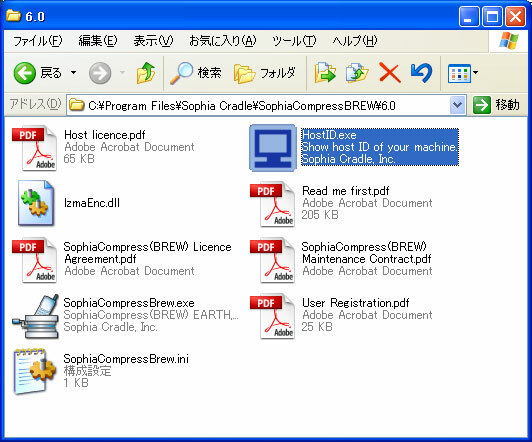 To install, double-click the installer icon of SophiaCompress(BREW) EARTH. An InstallShield wizard will take over to guide you through the installation. 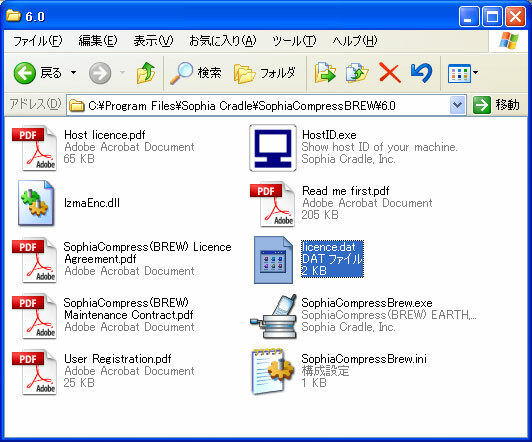 Choose [English] or [Japanese] to install SophiaCompress( BREW ) and its manuals in the language of your choice. Click [Next] to move on. Read the license agreement carefully. To accept the agreement and proceed to the next step, check [I accept the terms of license agreement] and click on [I accept]. Keep clicking on [Next] to complete the installation. The installation has been successfully completed when [Install shield Wizard Complete] is displayed on screen. 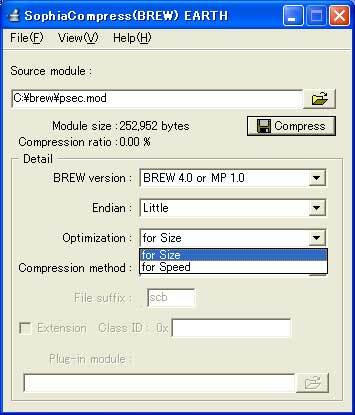 The shortcut for SophiaCompress(BREW) EARTH is automatically generated on your PC. Double clicking on the shortcut icon, will cause the following error message to pop up, because there is no license file yet. A Host ID is required to inquire for a license file. Please use HostID.exe, in the same folder as SophiaCompress( BREW ), to obtain a Host ID. 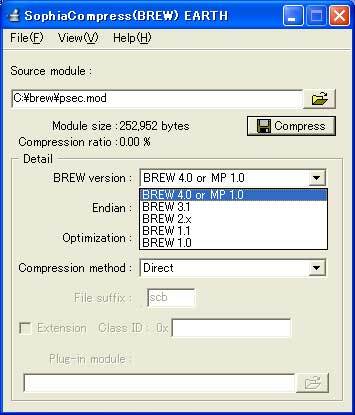 Select the mod file you wish to compress in [Source module]. The file sample.mod will be compressed below. 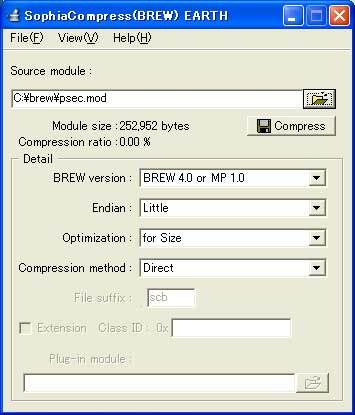 If it is specified correctly, the original size of the module file will be displayed in [Module size]. Choose the [Optimization]. Default is "for size". 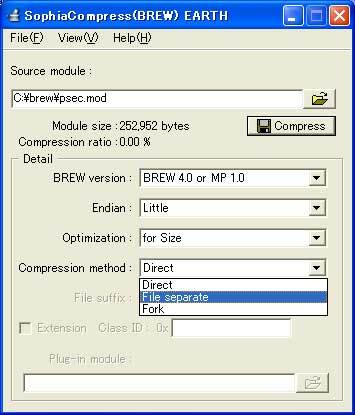 Choose Direct Compression, Separate Compression, or Fork Compression. 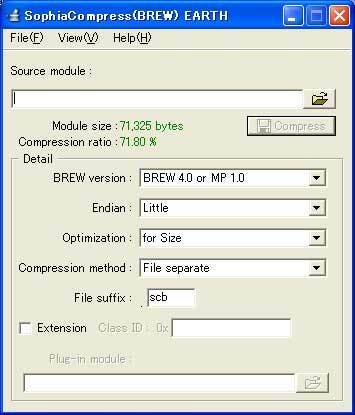 Choose a directory to save the compressed file. 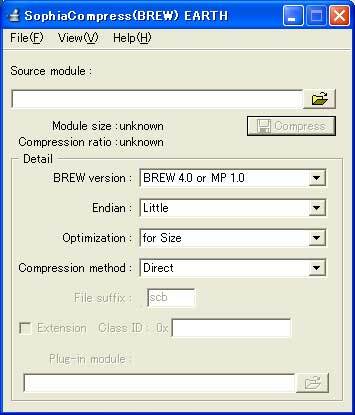 Click on the [Compress] button to start compression. 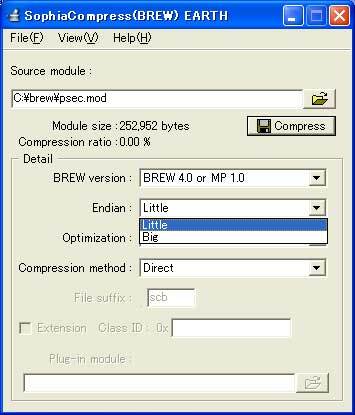 When compression has successfully been executed, the size of the compressed file is displayed next to [Module size] in green letters. 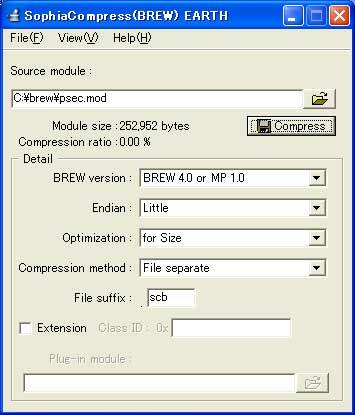 If the compressed file is bigger than its original size, the size of the compressed file will be displayed in red letters. And the compressing history window below will appear.